I have only ever eaten the normal yellow grapefruit- Mum usually made this halved and grilled with brown sugar on the top and served as an entree and also a half to start breakfast and you would dig your spoon in around the segments and be squirted in the eye! 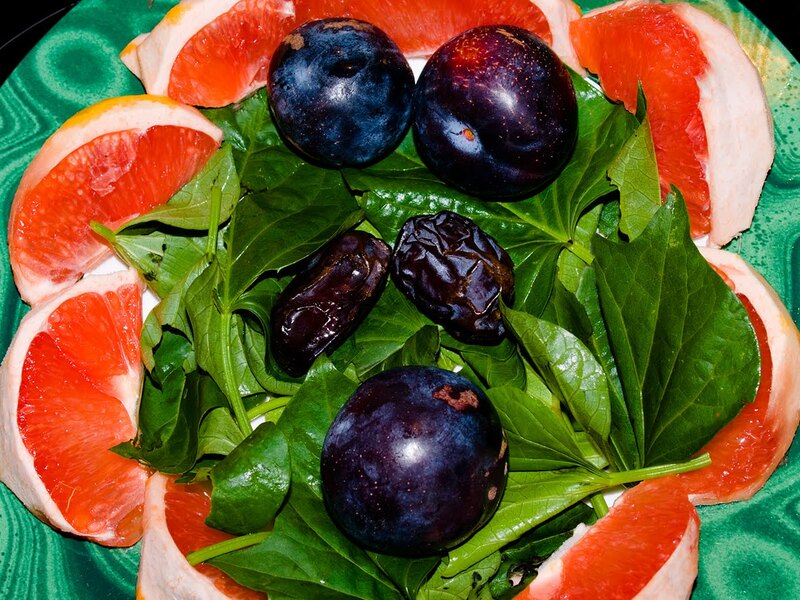 Wow, you are really creative with your green smoothies, not to mention your photography! Great photos! Food is hard to do. I grew up in Texas, home of the ruby red. Up here in the Pacific NW, there is a group that gets together a big order of ruby red grapefruit every December and we buy a couple boxes and eat on them all winter. They keep pretty well in the basement. I never thought about adding grapefruit to my smoothies though! Sounds really good! I’ve added greens to smoothies before, usually spinach as that is the easiest for me to get. Sometimes chard or kale, but usually I prefer to just eat those when I am lucky enough to get them.